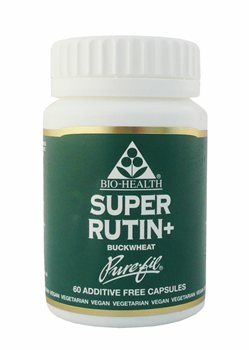 These capsules contain standardised Rutin combined with Buckwheat, a natural source of this nutrient. Buckwheat Powder, Rutin, Vegetable hydroxypropyl methylcellulose (HPMC). 1 capsule daily swallowed with water.